Naughty Jack Frost promised not to trouble the Rainbow Fairies again, but he didn’t say anything about the Weather Fairies! Now he’s stolen the feathers from the weather-vane cockerel in charge of the weather. It’s up to Rachel and Kirsty to get each of the feathers back from Jack Frost’s pesky goblins… with a bit of help from the Weather Fairies! 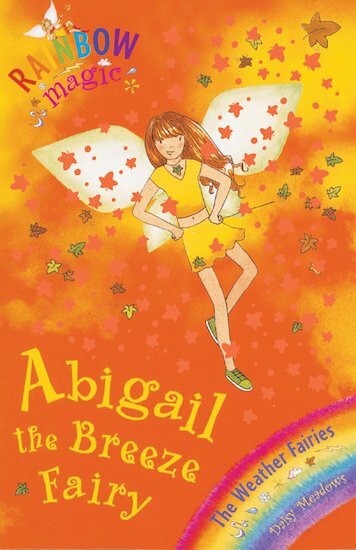 Abigail the Breeze Fairy needs to find her wispy wind feather before the wind causes chaos in Fairyland – and everywhere else! But where could it be? Abigail makes sure it gets windy when it needs to.